RE: Acting and freeze-framing our Mission and Vision Statement. Which groups show respect, teamwork, excellence and growth? Stepping Out! Learning all about Road Safety. Planting our Runner Beans - the ones that grew as a result of our Science Investigation! Preparing for and celebrating our First Holy Communion. Congratulations! We have developed our front covers to the books we are working on; all about volcanoes around the world. Discovering Non-Fiction Books... we found out a lot of new and exciting information! SCIENCE! Observing changes over time; looking for clues of Spring and the beginnings of Summer. Making 3D Shapes - super teamwork demonstrated to learn about and make a range of 3D shapes - well done Year 3. VOLCANOES!! Well done on some excellent Easter home learning projects. World Book Day - What a brilliant effort with all the costumes; well done! Oooh La La! Take a look at our French cafe. Science! Observing sunflowers and trees over time and examining different kinds of rocks. Check out our Pollocks! Jackson Pollock inspired art work for Children in Need. Our newly elected Mini Vinnies: Congratulations James and Hana! Gymnastics - This is me! On Friday 17th June 2016 we had a Phonics Party to mark the end of our phonics test. Our Unbelievable Universe! Comparing sizes and distances of the Earth, Sun and Moon. What qualities do others see in us? 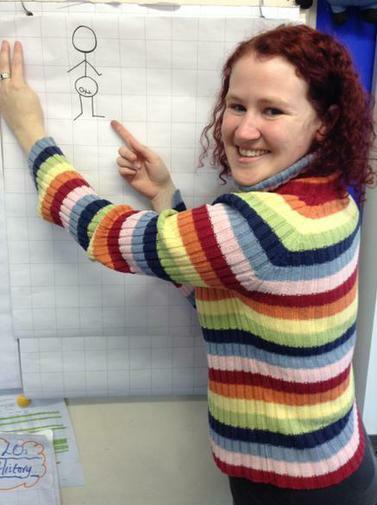 Drawing figures to portray feelings, emotions and plan our street dance moves. James shows us his home made lava lamp - brilliant science! BIKABILITY! Well done Year 5! Having fun and raising money on Pyjama Day! Investigating Cornflour - Solid or Liquid? Danielle Brown - Meeting an Olympian! Learning about Inspirational people - we were all inspired! Come on Shrewsbury Town! 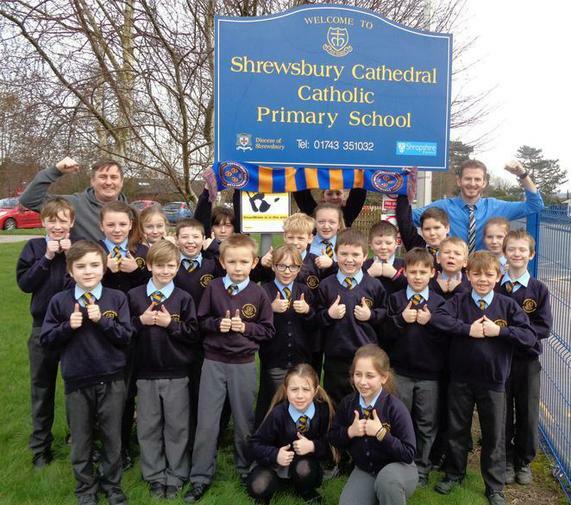 We are all looking forward to a school trip to see the Shrews beat Rochdale on Tuesday night. Stickmen Perfect your stick man drawing skills! Think about how you could describe it using your amazing writing skills! Krakatoa (Indonesian: Krakatau) was a volcanic island made of lava in the Sunda Strait between the islands of Java and Sumatra in Indonesia. The name is used for the island group, the main island (also called Rakata), and the volcano as a whole. Follow the links from the titles to get started on some awesome maths practice!